Magnetic display boards are available as wall mounted magnetic notice boards, free standing magnetic signs or table-top magnetic boards. Magnets can be used to attach information to the notice board for the safe display of items in any location. 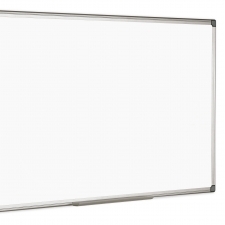 Organisations use versatile magnetic display boards for displaying important information and for keeping notes safe and accessible. The uses for Magnetic Notice Boards are widespread and can even be made more attractive by using coloured or shaped magnets.